Colonial Airport Parking, a transportation organization that moves travelers to and from Philadelphia International Airport, says that since making fleet conversions to propane autogas three years ago, it has seen fuel costs reduced by 32% and bus maintenance costs by 28.4%. 9.26.17 —Increased operating efficiency and decreased emissions have been two of the many benefits for an off-airport parking company operating buses fueled with propane autogas. Last week, we held our final factory workshop for 2017. Technicians visited our headquarters in Livonia, Michigan, to learn about the serviceability of our fuel system and how we integrate with the Blue Bird Vision school bus and the line-up of Ford medium-duty commercial trucks. The Volkswagen Environmental Mitigation Trust settlement continues to move forward. Most recently, an agreement was filed with the courts, which is a good indication that we are coming closer to a trustee effective date. 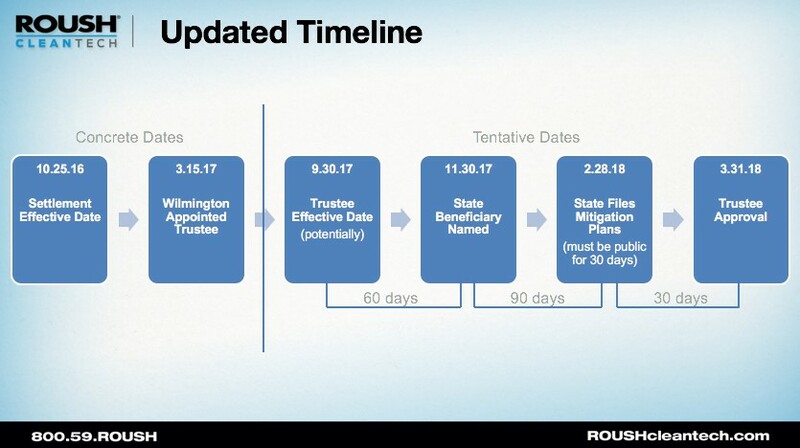 Once the trustee date is established, then a beneficiary for each state will be named, and mitigation plans can be developed for how the funding will be allocated and dispersed. Here are four steps to be in the best position to request funding from your state. Step 1: Define the fleet needs of potential propane bus customers, and know how many pre-2007 diesel engines they have in their fleet. The Environmental Mitigation Trust defines the exact types of vehicles for this funding, which includes Class 4-8 school, shuttle or transit bus replacement. That means the Blue Bird Vision Propane school bus would be eligible. Step 2: Reach out for help to frame the project for your state’s beneficiary. We have a number of resources and information to help build the case for propane school buses to be included in your state’s plan. Step 3: Review our propane autogas NOx reduction effectiveness calculations, which were recently updated with the latest AFLEET data set. You will see that propane autogas provides the best value in NOx reduction per dollar spent by a wide margin in Class 4-7 trucks (for white fleet needs) and school buses. This is great information to send to your state’s beneficiary. Step 4: Respond and participate in meetings that will help your state develop their mitigation plan. Although this process has been in the works for almost a year, you can still get in on the early stages of plan development. Don’t assume that your state has finalized their plans — even if you’ve heard rumors on how it will be allocated. Don’t let that funding go somewhere else because your state’s beneficiary wasn’t well informed. There is still time to make your case for propane school buses, and we are here to help. If you have any questions about the Volkswagen settlement or the Environmental Mitigation Trust, please contact Chelsea Jenkins at Chelsea.Jenkins@roush.com. Or visit ROUSHcleantech.com/volkswagen-settlement for more information. It’s back to school time, and Blue Bird’s iconic yellow buses are buzzing around the nation. This makes it the perfect time to let your local media know if you have any new deployments of propane buses for the new school year. Are you wondering how to get the media to notice you? Start by reading what is being said about other propane school bus deployments. With a web search, you’ll find hundreds of news articles on the subject. Do you have an interesting story behind a propane deployment? Did a local school district make a notable purchase? There are no rules to how many buses need to be deployed. Whether it’s one or 100, the news can be exciting depending on the situation. 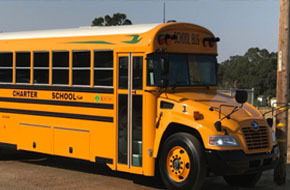 For instance, when a charter school in California bought its first and only school bus, they chose propane. Just make sure that the story is new and different in your area, and the media will scoop it up. Reporters tend to like the theme of “yellow buses going green.” Many news outlets have played off of this kitschy theme with relation to cost savings and emissions reductions. Know your angle: What’s your story? Is it the number of propane buses? Is it the school district’s first purchase, sixth purchase? Have they gone 100 percent propane? Is the school district willing to provide information and a quote for a press release? Share emissions reduction information: The ROUSH CleanTech propane engine is certified to California Air Resources Board’s optional low nitrogen oxide level of .05 grams per brake horsepower per hour — making it 75 percent cleaner than the Environmental Protection Agency’s current emissions standard and the cleanest propane school bus on the road. Plus, buses fueled by propane emit 80 percent fewer smog-producing hydrocarbons and virtually eliminate particulate matter when compared with conventional diesel. Show off the “green” Blue Bird graphics: This visual display shows communities that their school district is invested in alternative fuels and providing a cleaner form of transportation to students. The green bird acts as a traveling billboard. Be sure to use your news, news from other districts and the Propane Education & Research Council’s press releases in your sales efforts. Your customers can feel confident in making a purchase when they see news about propane school bus deployments in print or online. If you need help determining if your propane school bus story could gain media attention or drafting your press release, or if you have any questions about the public relations process in general, please contact Brian Carney at Brian.Carney@roush.com. Q. Why are some customers hesitant to move away from diesel? A. Even though we sell a large number of propane buses, we still find that some districts require 84-passenger buses. These districts would need to reroute if they purchased smaller capacity buses. Many don’t have a facility on-site for fueling. Or they aren’t interested in truck fueling or cannot find a local provider who will offer the service. Sometimes the transportation shop technician loves diesel and isn’t open to hearing about options. But that doesn’t stop us from discussing propane. The good news is that the incremental bus cost isn’t an objection anymore, which means school districts better understand the total cost of ownership idea. We want to make sure that customers who aren’t choosing alt fuels are making the decision based on an educated position. In fact, 83 percent of the Type C buses we sold so far this year have been propane buses, so our message is being received. Q. How are you positioning gasoline and propane in your area? A. For our customers who are looking for alternatives to diesel, many feel that propane makes more sense in the long run than gasoline. We do pitch gasoline, but many times, the customer still chooses propane. For instance, we sold our first gasoline units a few weeks ago to a customer who was already operating propane buses. They bought six of each! The district has an area where they can’t put a fueling station, so they chose to go with gasoline. One thing was for sure: they were adamant they didn’t want diesel buses. And we made sure that they knew what all of their fueling options were. We also use our own calculators to show our customers the total ownership cost comparing diesel / gasoline / propane to help with their decision-making. 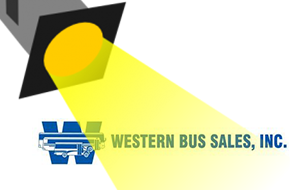 After the sale, we find a higher owner loyalty with propane buses, which is great. Lastly, it’s important to let our customers know that we’re a one-stop warranty provider for the propane engine; fuel system; transmission; bus body; and chassis. This allows us to have full control over the service and downtime customers experience with the product. That way, they know they can come directly to us following the sale. A. Realize that every market is different. Our area covers a lot of smaller districts in the state. Our largest one-time order has been 28 units, while all other sales have been up to five propane buses. A lot of times our customers start with one or two propane buses and then they buy one or two more. We find being flexible on how we handle each unique situation is key. Find a customer advocate. One of our initial goals was to get one customer who wanted to scream from the mountains about how much they love their propane buses. Then every district interested in propane has someone to talk with and better understand why they should consider propane. This also helps get buy-in from multiple levels — from the shop guys to drivers to the transportation directors. Many states have seen propane adoption without any government subsidies, except for the fuel excise tax credit. So, we haven’t relied on subsidies to make sales. A. We have a great visual. 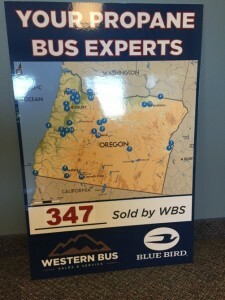 We keep a big map of the state of Oregon and put stickers with the quantity of propane buses in each district location. This helps potential customers understand that there are propane buses running throughout the state and in different climates not just in one area. This helps our customers understand why we are the propane experts. We also feel it’s our responsibility to make customers aware of the alt fuel offerings. We want to make sure that customers who aren’t going with alt fuels — yet — are doing so based on an educated position. And, we always make sure to demo the product. We want to get our customer’s drivers behind the wheel. This gives us a better chance to manage the customer experience. Did you know that some Blue Bird dealers offer mobile repair service for their propane bus customers? 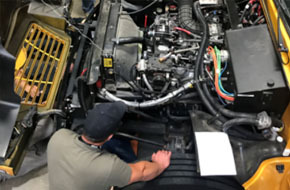 Designated field technicians drive to a customer site to diagnose and repair their customer’s bus, instead of having the bus towed or driven to the dealership, which saves the customer time and helps drive positive customer satisfaction. With mobile repair services, your customers can experience a quicker turnaround on repairs, many of which can be fixed on the spot. “We had one case where our field service technician was called before the propane school bus returned from its morning route. He was there when it got to the yard, and was able to fix the bus,” said Robert Kanter, vice president of Bryson Sales and Service in Washington. “And, that bus was ready for its afternoon route.” He cautions that all repairs don’t happen like this — but it’s great when they do! There are many considerations when adding mobile repair services to your dealership. For instance, do you have current employees who would make great field service technicians? Or would you need to hire an outside resource? Are your customers spread over a large area or close by? Dealerships with customers not near their brick and mortar location may find mobile service advantageous to both their customers and themselves. Kanter says Bryson has always offered mobile repair service for diesel bus customers, so doing the same for their propane customers was a given. “Having field service technicians is a staple of Bryson,” said Kanter. 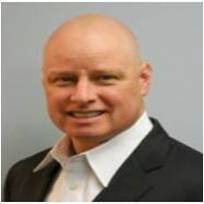 “When a new technician is hired, they are trained in our operations and the products. We also send our technicians to training at ROUSH CleanTech to learn specifically about the propane system. “If I offered advice to other Blue Bird dealers, I would say that having this service just makes sense to grow your market share and service the customer,” Kanter said. Now that school is back n session, school buses are out in full force, so it’s important that school bus safety practices are in place. The Propane Education & Research Council brought us an interview with Jenna Bush Hager who provided a timely reminder of the importance of school bus safety and the need for more energy-efficient buses.